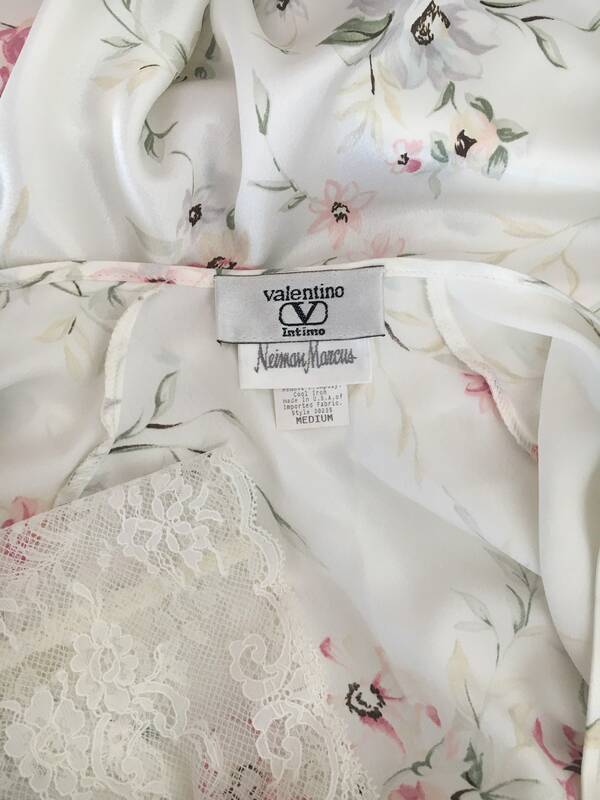 Vintage Valentino Intimo floral print white satin robe with lace trim on the sleeves. Tie closure on one side inside the robe and tie belt. Flowy and lightweight. So gorgeous with a luxurious feel. Walk around your house feeling like the goddess that you are!